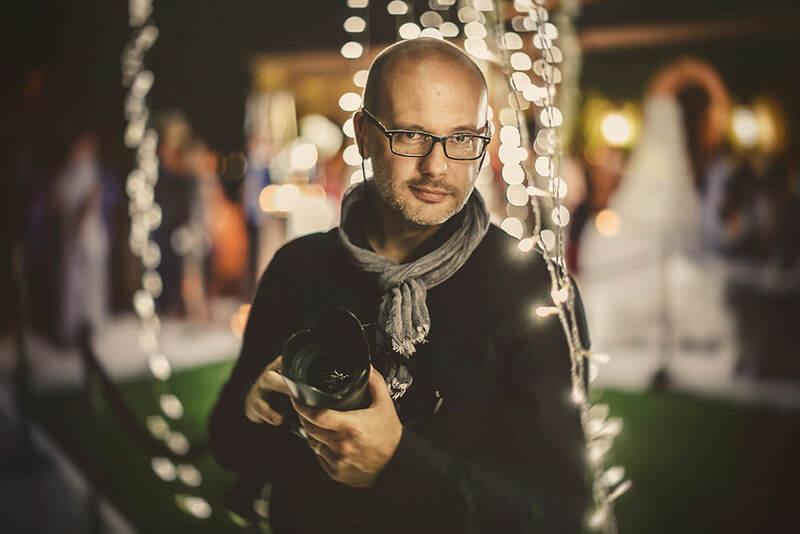 Destination wedding photographer from Italy. This is me! As a wedding photographer, I’m honored to have a partnership with a group of first class storytellers who have won all of the most important international awards, from the World Press Photo to the Prix de la Photographie of Paris or the Sony World Photography Awards. All of the “Projects” of Luca Rajna Progetti Fotografici (“Luca Rajna’s Photographic Projects”) are exclusively intended for those couples who seek results of the highest quality: making use of the best know-how, I want to provide an incredible experience that will appreciate in value as the years go by: I don’t work with a single standardized methodology forcing you to ensure compatibility without really getting the most suitable style: I will guide you in choosing the best style, which will allow me to meet your highest expectations. When I take photographs, I always look for conveying an emotion or a feeling in my photos that goes beyond what is represented. 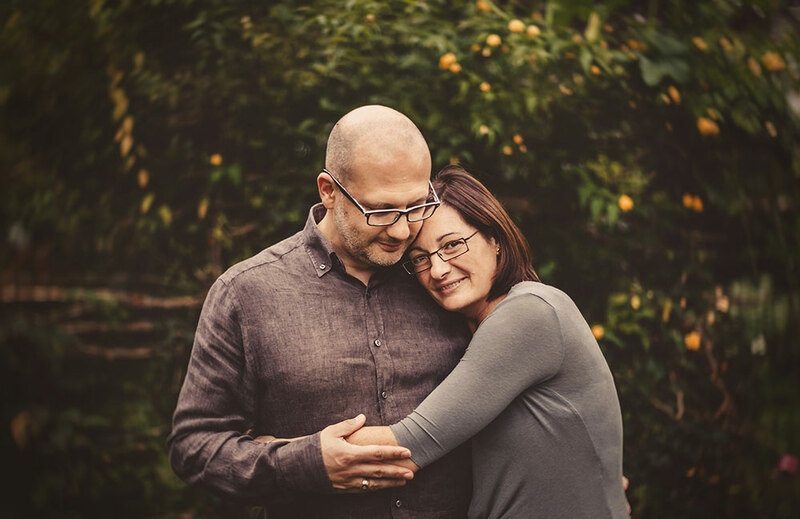 I’m honored to be able to put my sensitivity at your disposal, conscious of having received a crucial, as well as beautiful, assignment: your images will be the most important memory of your wedding day. Memories and emotions of your best day will continue to live, through your photographs, exactly as you expected, hoped and dreamed it to be! I’m the artist: I take high quality photos, but accounting is not my strength! 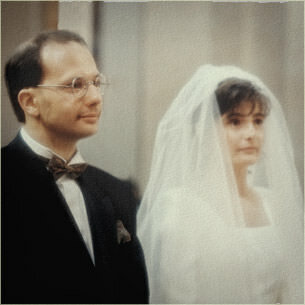 We married in 1996, the year in which I did my last concert and was already the leader of a photography studio (after studying photography in Milan for two years). In the late 90s, I was among the first Italian photographers to have a website, and after noticing on the Internet the work of my colleagues from the USA I made wedding photojournalism famous in Italy, which was virtually unknown in my country then. Me playing the violone with the baroque music group I led. 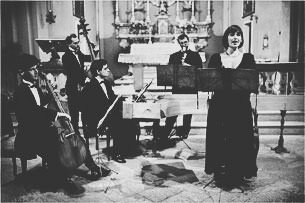 The other musicians in the photo are: Lavinia Bertotti (soprano), Nicola Sansone (recorder), Roberto Chiozza (harpsichord) and Alberto Guerrero (cello). I started my career as a concert performer playing ancient wind instruments when I was sixteen, my first concert was in Neuchatel (Switzerland). 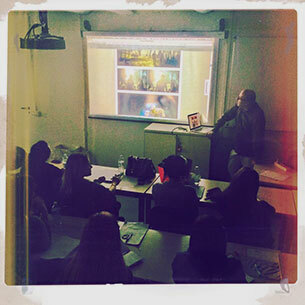 Me speaking about wedding photography at the Wedding Planner Courses fo the IED – Istituto Europeo di Design of Milan (European Institute of Design). 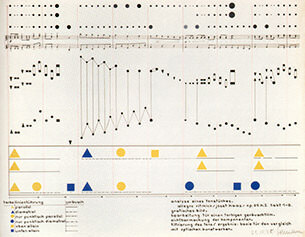 Among historical famous names, I learned to compose images from the treatises of Vasily Kandinsky, the cinema of Andrei Tarkovsky, and to make poetry with light from the photographs of W. Eugene Smith. My favorite photography books are from the analogue era: “L’Isola Intima” [The Intimate Island] by Carmelo Bongiorno and “Venice” by David Hamilton. In private life I’m fond of ancient and ethnic music, love to translate the Bible from Hebrew and Greek, and would never stop playing Subbuteo (Table Soccer). Maria Rosa and I chose to live in the country, far from a big city. 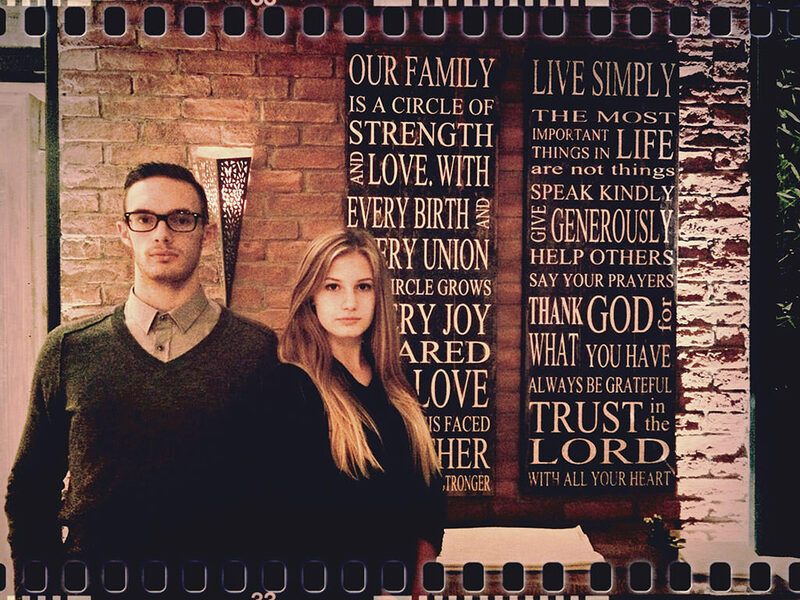 Our children names are Mattia and Noemi. Recommended Movies: Ushpizin (2004), Fireproof (2008) and Courageous (2011). 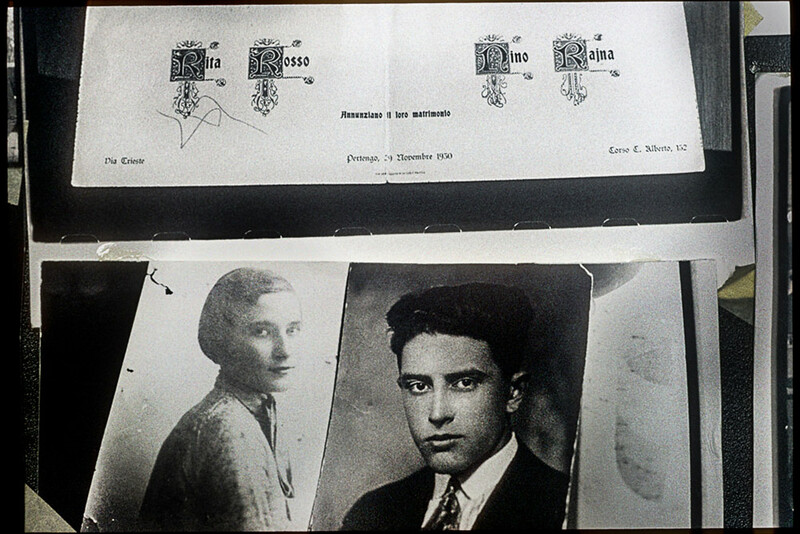 Pertengo, November 29th 1930: “Rita Rosso e Nino Rajna annunziano il loro matrimonio”, Luca’s paternal grandparents wedding card. Brussels, together at the European Parliament. 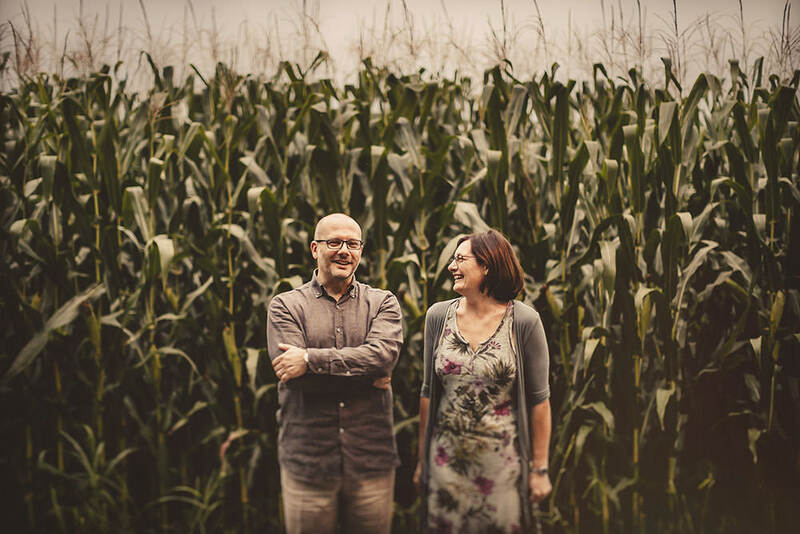 …Contact us to find out more about my studio, the photographers who collaborate with me and the benefits you can get from our photographic workflow!